Stop in regularly for recent news, project updates, and an occasional design critique. Please use the form below if you have an idea for my next post or a design question. Thanks for checking in. 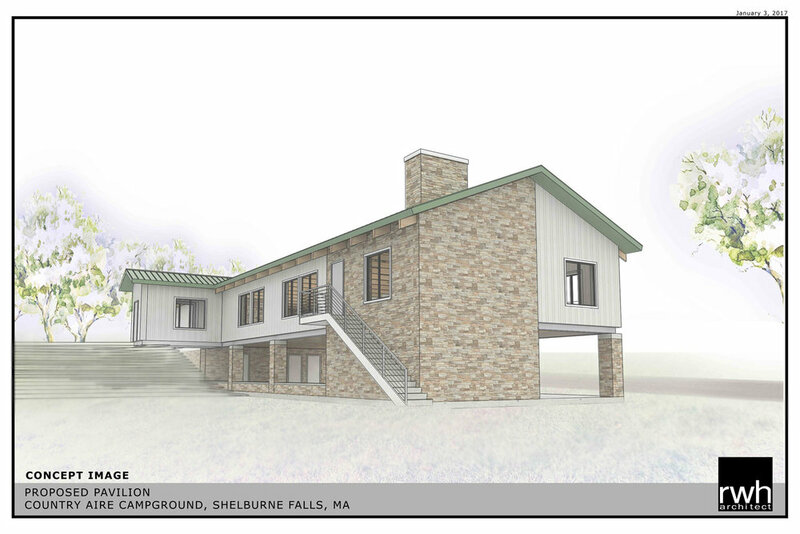 We've just finished the first round of preliminary images of the future Country Aire Campground pavilion in Shelburne Falls, Massachusetts. The 2-story, 30 x 100 ft pavilion will nestle into the sloping grade and complement the surroundings. The first floor will be open to the environment while the upper floor will be enclosed with large windows designed not to restrict the natural views. © 2015-2019 Robert William Hannon Architect PLLC.